My most important teacher and great friend passed away. 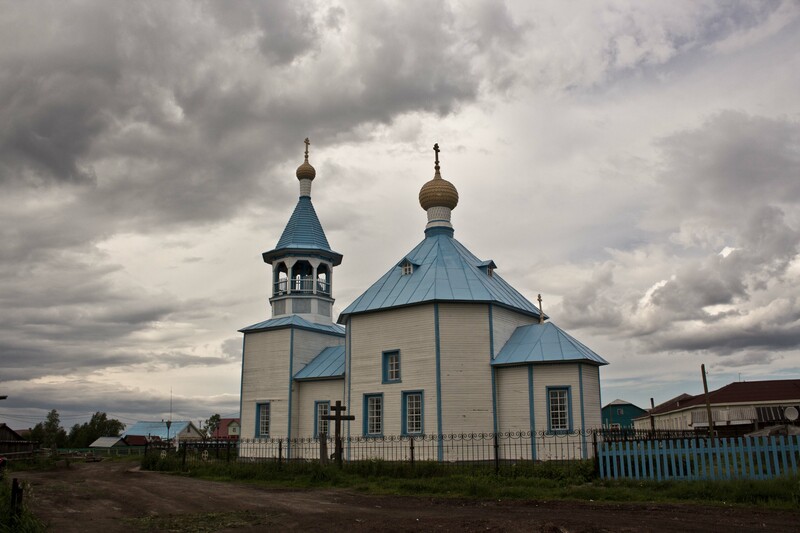 I am with my thoughts and heart now in the village of Variogan and at the Tiuitiakha river settlement in Western Siberia. It was hard at the first moment but how to survive, how to live a responsible life that’s what he tried to teach me first of all. I am worried now about the future of the world he invited me into. 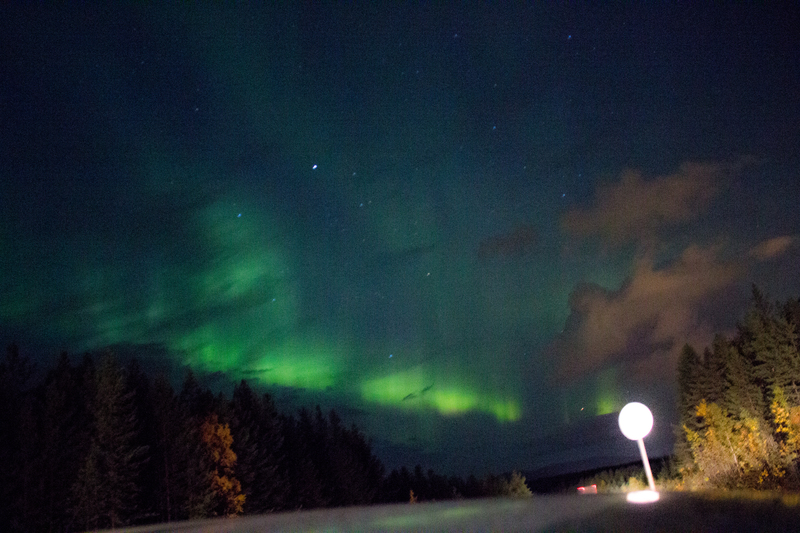 In the night of his death and the following night we saw such great northern lights here in Lapland that I could believe that a great man left this world and his steps became visible this way. I promise to do everything possible to preserve what he created. My friends and I plan to publish his poetry in German translation. I want to express my heartfelt sympathy with all relatives and friends of Yuri Vella. 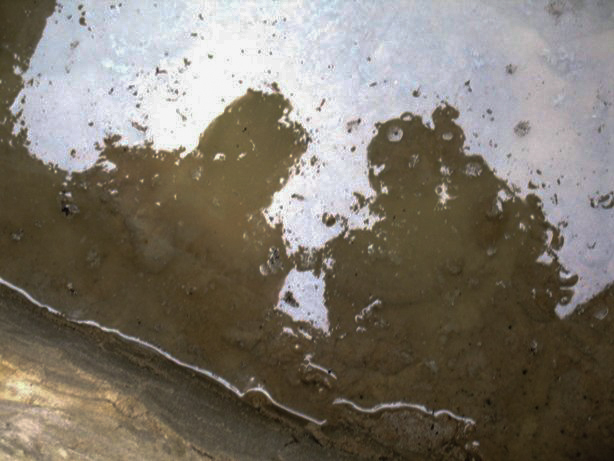 Yura and me looking into a well we build. Ушел из этой жизни мой главный учитель и лучший друг. С мыслями, с сердцем я сейчас в Варьегане и на стойбище на Тюйтяхе. Когда узнал, было тяжело на душе, но я помнил о том, что как дальше жить, учил меня именно он. Меня очень волнует судьба того мира, в которой он меня пригласил. В ту ночь, когда его не стало и на следующую ночь мы здесь в Лапландии видели такое сильные северное сияние и хочется верить, что большой человек отправляется в путь и шаги его отражаются таким образом. Буду сделать все, чтобы сохранилось то, что он создал. Мы планируем с друзьями издавать его стихотворение и на немецком языке. Выражаю соболезнование всем родным, близким и друзьям Юрия Вэллы. Mein wichtigster Lehrer und Freund ist in der Nacht zum 13. September gestorben. Mit dem Herzen und mit meinen Gedanken bin ich jetzt im Dorf Varjogan und auf dem Wohnplatz am Fluss Tjuitjacha in Westsibirien. Ich erinnere mich daran, wie viel ich von ihm über Verantwortung und Überleben lernte und das hilft mir jetzt. Mich beunruhigt in diesen Stunden vor allem die Zukunft der Welt in die er mich einlud. In der Nacht seines Todes und in der folgenden Nacht sahen wir hier in Lappland ungewöhnlich viele Nordlichter, die einen glauben machen wollen, sie seien die Schritte eines großen Menschen, der diese Welt verlässt. Ich kann ihm nur versprechen alles zu tun, um das zu bewahren, was er geschaffen hat. Mit Freunden plane ich die Herausgabe seiner Gedichte auch auf Deutsch. Mein Beileid allen Verwandten und Freunden von Juri Vella. 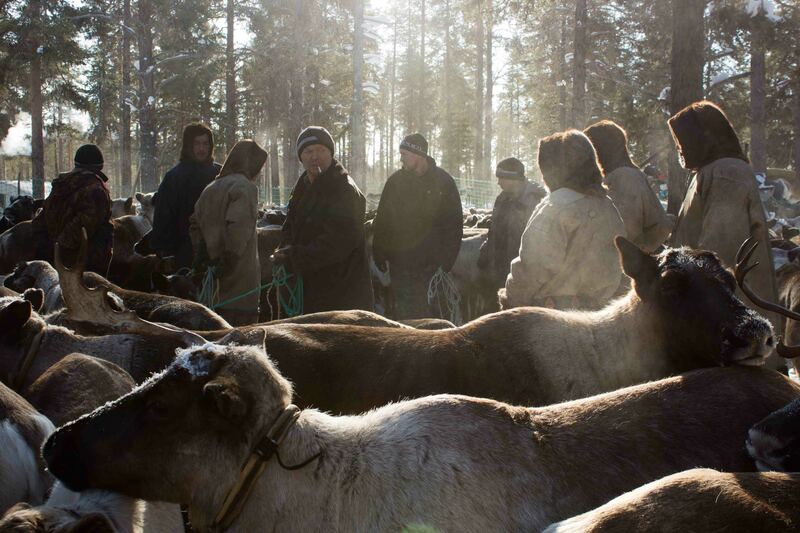 Report of my travel to the Kanin reindeer herders in March 2013. As I said in my previous blog entries on my stay in Arkhangelsk and Pinega, I was not able to get the border permission in time. On hearing this I decided to visit the reindeer herders outside the border zone and postpone my work in the village of Nes with the other reindeer herding brigades for a later visit. The tent of the Vaniuta family that became my home. It proved very useful that I had already gained contact information from the 7th brigade of the Kanin reindeer herding cooperative in the summer. It was not difficult to get in touch with their friends in Pinega who agreed to take me to the camp in the forest immediately. The southernmost brigades can be reached with a regular car in the winter as the winter roads made by the forestry lead almost directly to the camp site. The reindeer herders were waiting on the forest road with their sledges to pick me up. The reindeer herders asked me what I did in Pinega, where some people said they had seen me a week before my arrival. It seemed information was travelling faster than myself and my phone call a week prior to Pinega caused the appearance of my ghost before I had arrived! I reached the reindeer herders just in time, because in the middle of March they left their southernmost camp-site and moved further north. They decided to stay at the new place until just before it started thawing in April and then they move quickly to the Kanin peninsula to their calving grounds some 300 km northwards. I was invited into the tent of the Vaniuta family to be their guest for the ten days. The camp was situated some 16 km from the village of Karepole near the river Laka one of the tributaries of the river Kuloi. 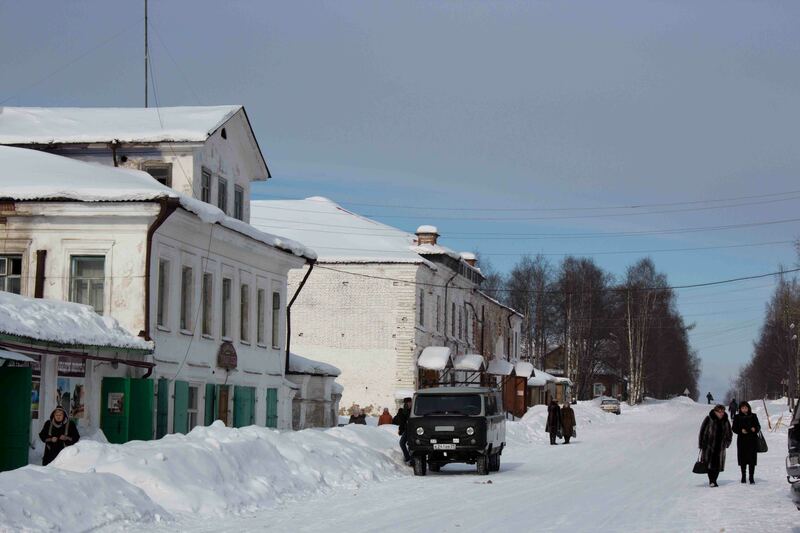 The village is a constant destination for the reindeer herders in winter and I travelled several times by reindeer sledge and snowmobile to visit the shopkeeper who is a friend of the family. 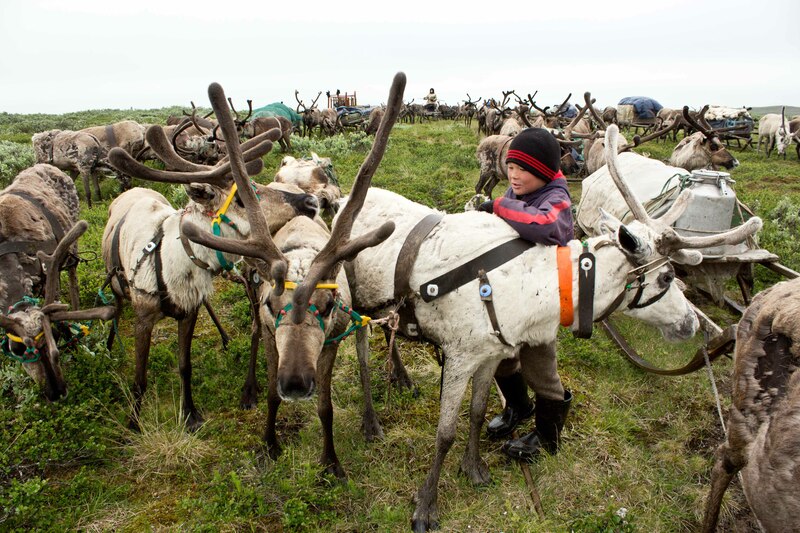 The days were filled with different kind of work with the reindeer. 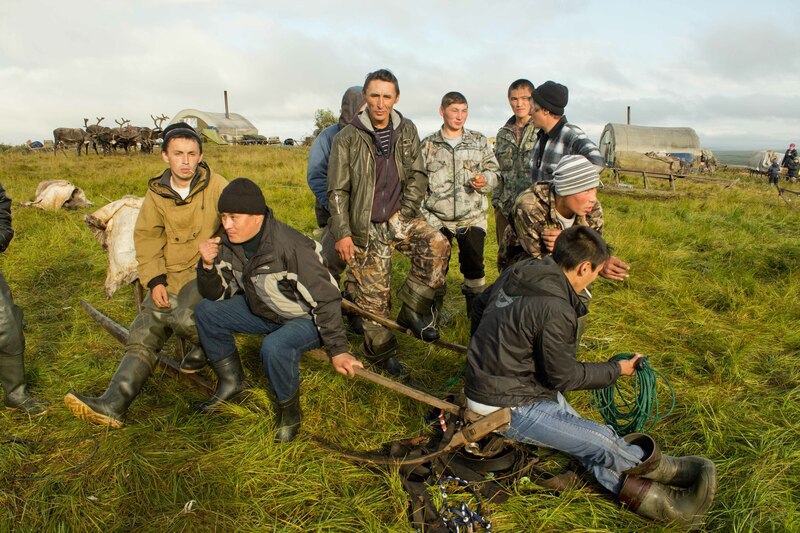 The constant presence of the herder with the reindeer is not needed at this time of the year and that gives the herders time to repair their sledges and prepare wooden parts for tents and sledges for the summer when they are on the treeless tundra in the North. 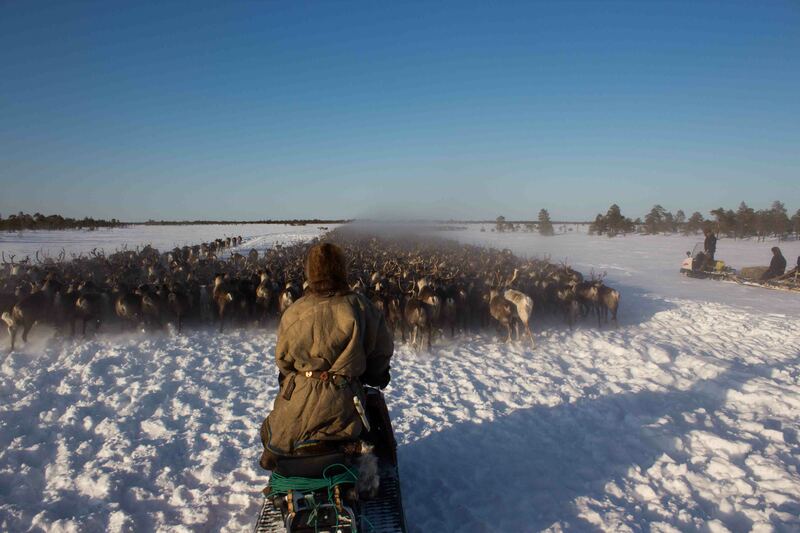 Usually reindeer herders don’t use snowmobiles but reindeer sledges to do herding work. Wintertime is also the time of frequent visits and communication with neighbours. I witnessed several visits of different kind of traders to the camp that sold groceries and clothing there, but also relatives and friends from other brigades were travelling to our camp. In Arkhangelsk people told me frequently that they know friends and relatives who visited the reindeer herding camps as tourists. 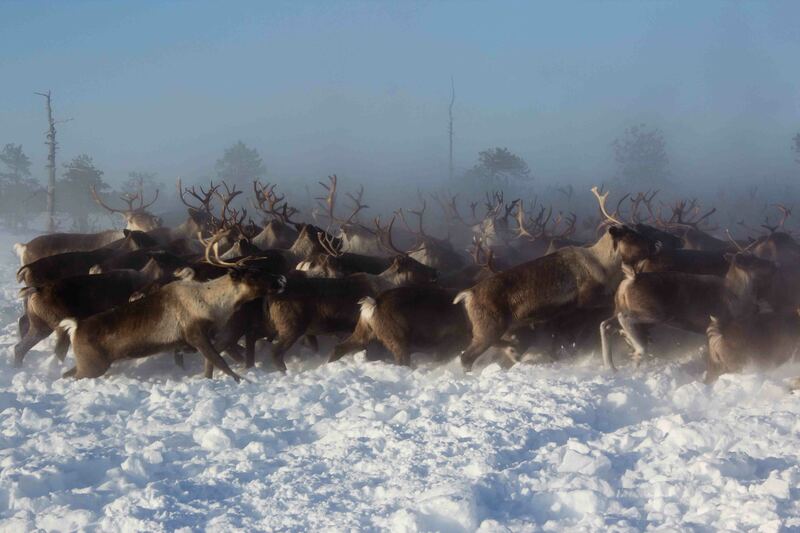 The reindeer herders became an important tourist attraction in the Arkhangelsk region in winter. They have guests from the Arkhangelsk region as well as from other regions of Russia and even from abroad. The reason for the evolving tourism, mostly on weekends is the possibility to reach the camps easily by cars and coaches on the winter-roads. 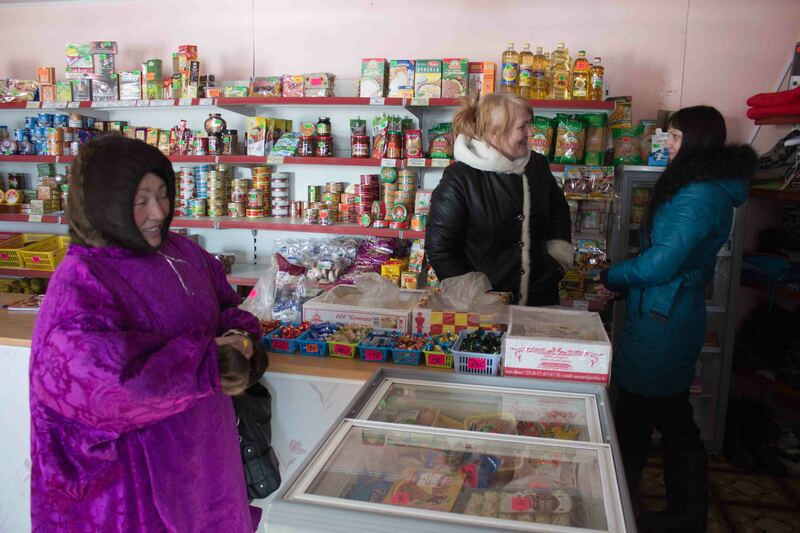 Since the reindeer herding cooperative can only provide a vanishingly low salary, the herders depend almost entirely on the products and services they sell to tourists and villagers. 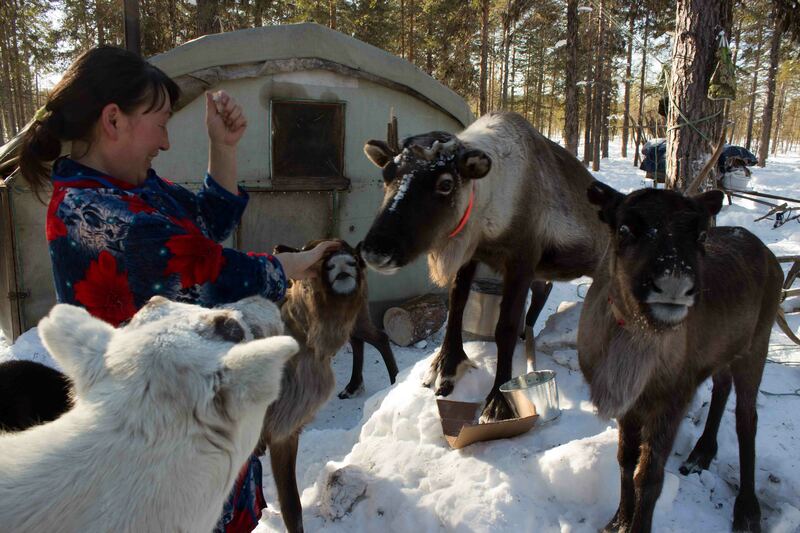 They offer tea and reindeer specialities, berries, meat, souvenirs and handmade shoes made from reindeer fur. They carry the children on reindeer sledges and explain their lifestyle to the townsfolk who cannot imagine how people can live during the winter in such thin tents. It seems as if the multicultural history of the region still has its effect on the present. Pinega and the villages around were already a place for the exile of political dissidents in czarist Russia. Even American soldiers were located here during the intervention time in the Russian civil war. Political prisoners later filled the Gulag camps established under Stalin along the river Kuloi, a lot of them were from the Baltic States and Poland but also from other parts of the Soviet Union. 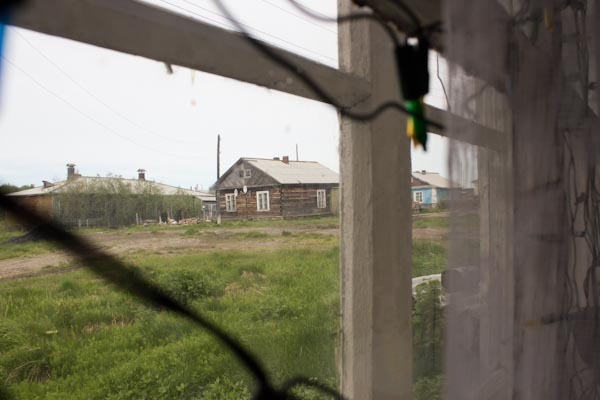 The region had previously been the place where Russian settlers met the Chud people and later met with Komi and Nenets reindeer herders. I have the impression that this diversity of encounters helped to develop forms of relations building on mutual understanding and respect of differences. Several times we visited the shopkeeper in Pinega, old friends of the Vaniuta family. 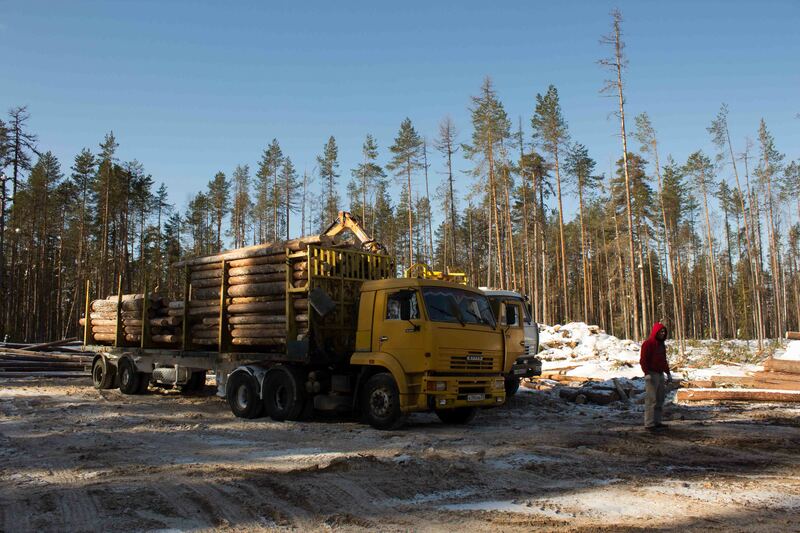 As an example I was able to observe a case which had the potential for conflict – the cutting of forests near our camp-site on the reindeer pastures. The noise of the chainsaw on the nearby cutting place woke me up in the morning several times during my stay. 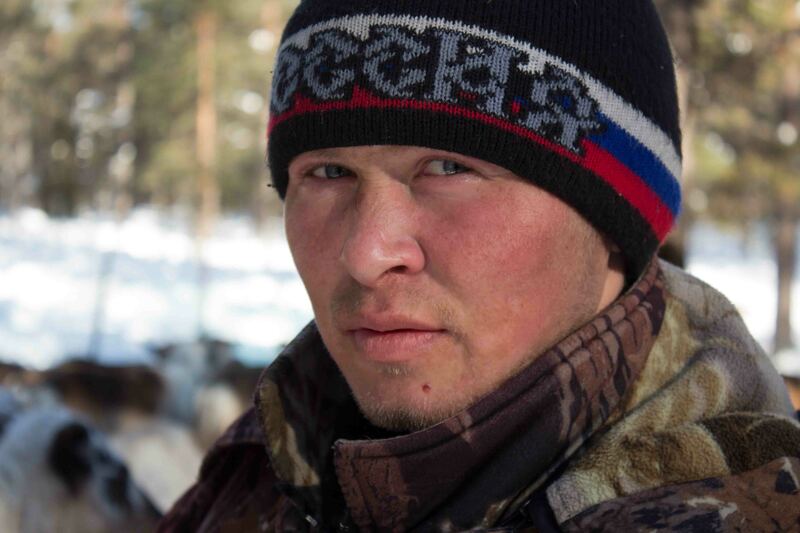 The reindeer herders are afraid that the forest will be completely gone one day and that they will have to camp on clear ground. Most important is the lichen found on the forest floor that is the most important food for the reindeer during the winter. The forrest cutting site just a kilometer away. The foreman of the forest workers visited our camp several times and meticulously explained all the details of their work. He insisted on taking me to their working place to convince me that they do not clear-cut the forest and will not harm the surface. I got the impression that the forest workers have even started to understand that mixing up the upper part of the soil to foster the quicker appearance of new trees will harm the lichen pastures for the reindeer herders. 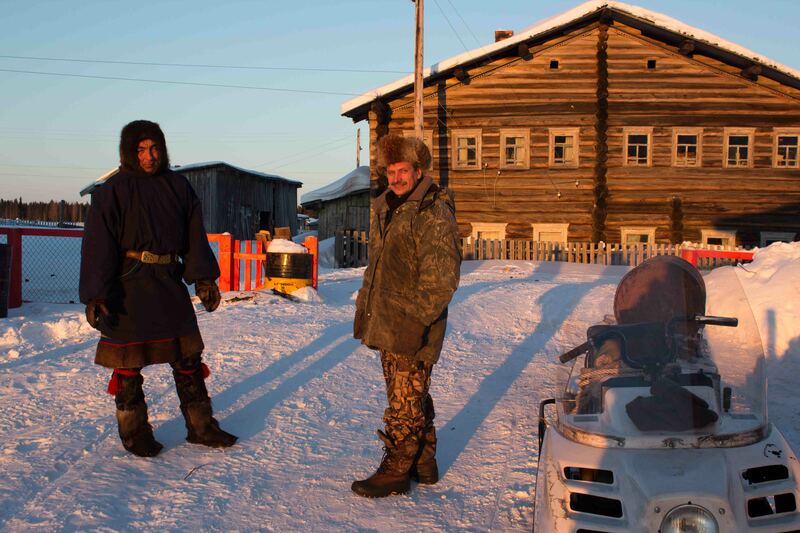 Possibly the most important thing was that in this conversation between the foreman and the reindeer herders I didn’t experience any of the arrogance and guardedness that I had often observed with urban officers and officials. I very much hope that this kind of relationship could enable a peaceful coexistence of reindeer herding with forestry, because the latter is almost the only source of income left for a lot of village people in the Arkhangelsk North. Reindeer herders’ meeting in the morning. In immemorial times the Nenets of the Kanin peninsula used the forest of the Pinega and Mezen region as reindeer pastures. 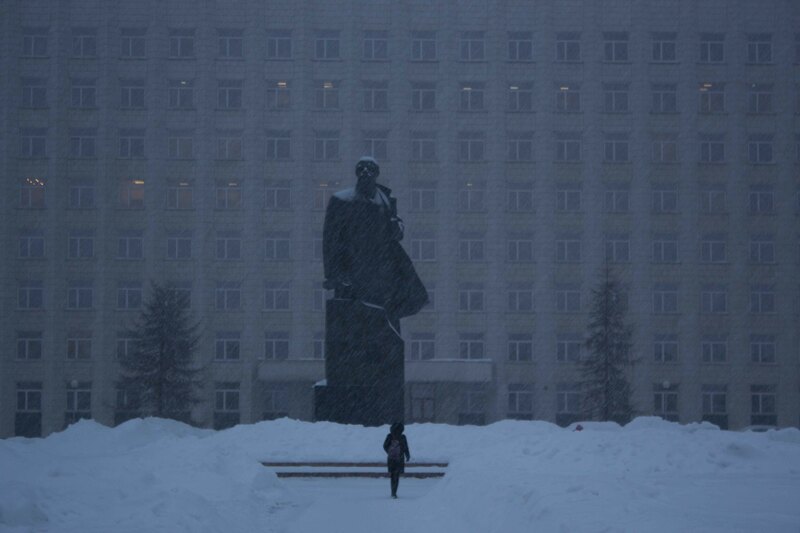 Nowadays they have to pay rent to the Arkhangelsk regional administration to use the pastures of their forefathers. This time I also got to know a lot about the so called forest Nenets (not to be confused with the separate Forest Nenets people in Western Siberia) who lived with their reindeer in these forests all year round. It was a special subgroup of the westernmost Nenets (formerly called Samoyeds of Mezen) that where joined in the 19th century by Nenets and Komi from the Bolshezemel’skaia tundra fleeing from epizooty there. Still during Soviet times the old reindeer herder Aleksandr Osiotin used to live in the Pinega forests hunting for a state company. Nowadays there is only a small reindeer herd near the lower part of the river Kuloi that is kept in the forest-tundra zone all year round. 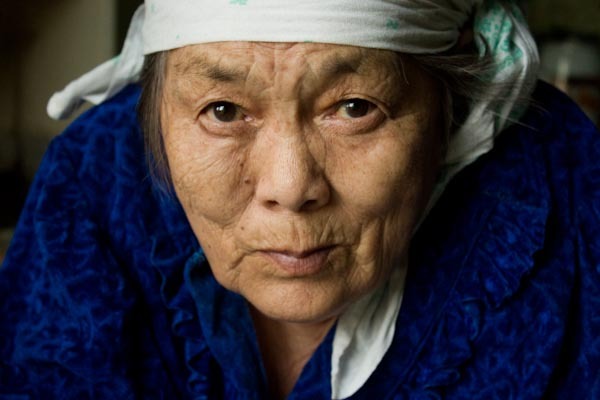 I hope that in the near future I will be able to speak to reindeer herders there and record the elders who still remember the forest type of reindeer herding. I also learned a lot about the deeply rooted and highly developed relationships of the reindeer herders with local Russian villagers. 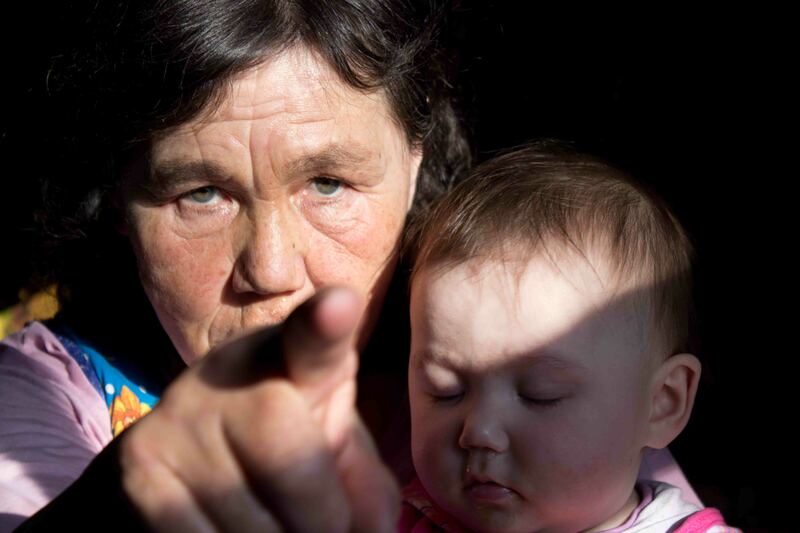 This institutionalised relationship is known as patera in Nenets and Komi language and in Russian kvartira or fatera. 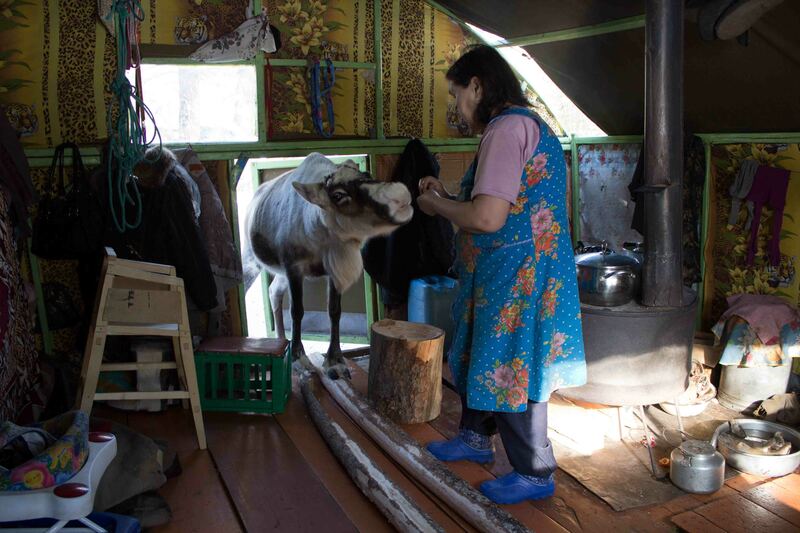 The term does not only refer literally to a flat of hospital villagers for the reindeer herders to stay overnight and go to the sauna on their way to the winter pastures. Patera can also be considered as an institutionalised long term relationship between village and nomad families. The relationship includes many aspects including bartering and maintaining forms of social kinship such as godparents. This form of partnership based on trust and mutual respect is regularly transmitted from generation to generation but also appears spontaneously if for instance men return from the army service together and become friends. The reindeer herders have such patera in the villages of Karepole, Soiana, Dolgoshelie, and Mezen. Anthropologists call such relationships based on deference, understanding, and acknowledgement of the equality of status and difference of identity symmetrical, because both sides have the possibility to influence on the character of the relationship on more or less equal terms. 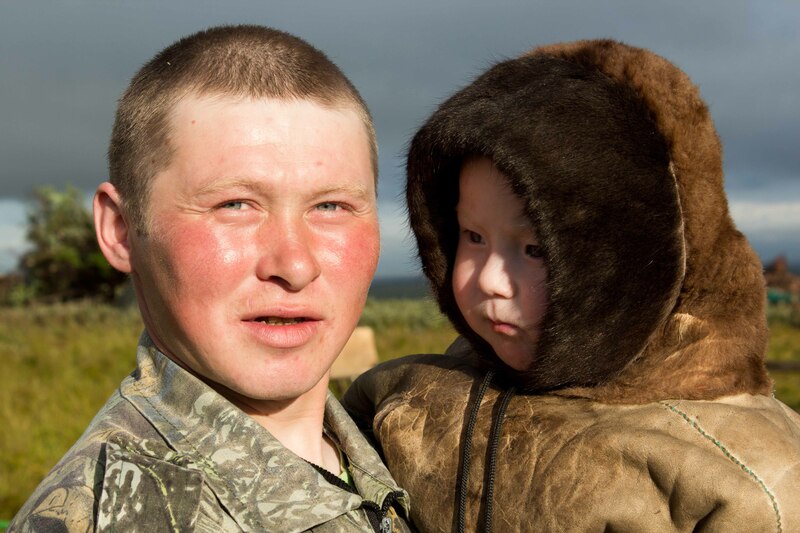 The interrelations are so important for the reindeer herders nowadays, because through these they are not perceived as uneducated primitive people but as equal partners who know full well what is profitable for them, what they want to achieve in life, and how to successfully find a way to secure existence in often economically unfavourable circumstances. Everybody that has to become acquainted with and wants to communicate with the reindeer herders, be it officials, representatives of oil companies, anthropologists or businessmen should follow the example. 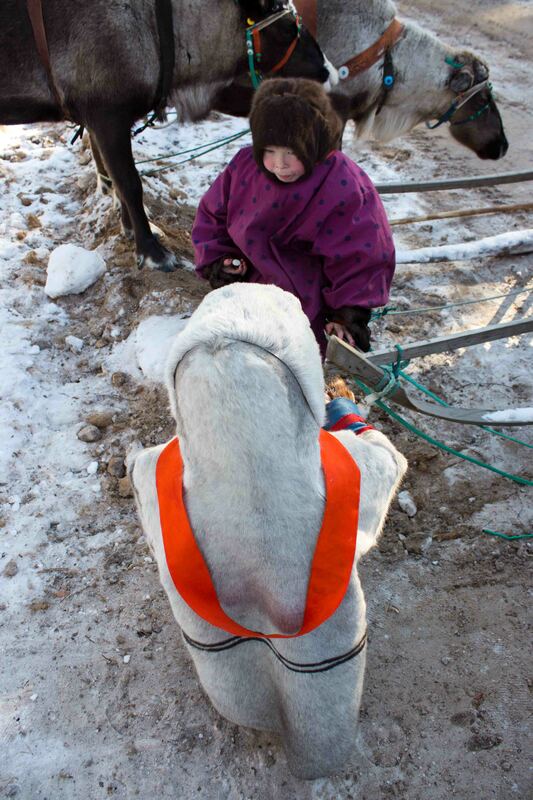 This was probably the most important lesson of my short trip to the Kanin reindeer herders’ winter pastures. After the month I spent with the reindeer herder on the Kanin peninsula in summer (I will give an overview in the next post), my plan was to visit them at their winter pastures in the Arkhangelsk region some hundreds kilometres further south of Kanin. 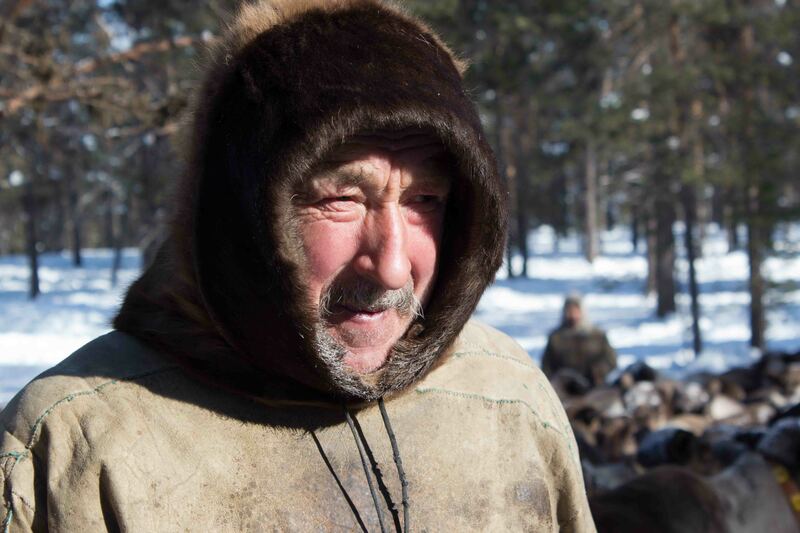 I thought I could visit the 7th brigade of the reindeer cooperative “Obshina Kanin” and then travel up to the north to the village of Nes’ to interview some elders there. 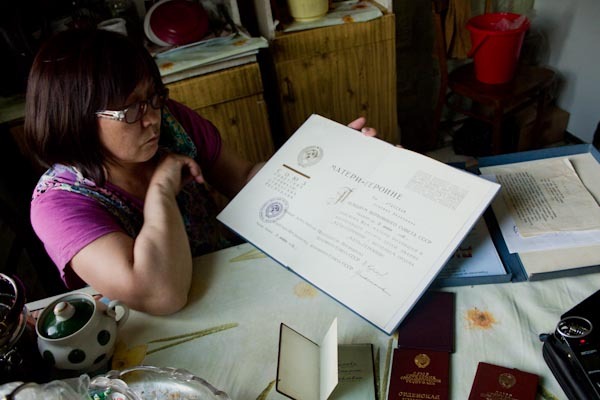 But I need a border zone permit from the border guard in Arkhangelsk to be allowed to enter the territory next to the cost and the villages there including Nes’. To get one takes weeks and weeks. I got one in summer, but it took also a long time. Hopefully I’ll get the permit in April, when I’m returning to the region. After staying in Arkhangelsk for almost a week waiting the permit I went to the big village (an former small town) of Pinega to visit at least the reindeer herders staying outside the border zone. 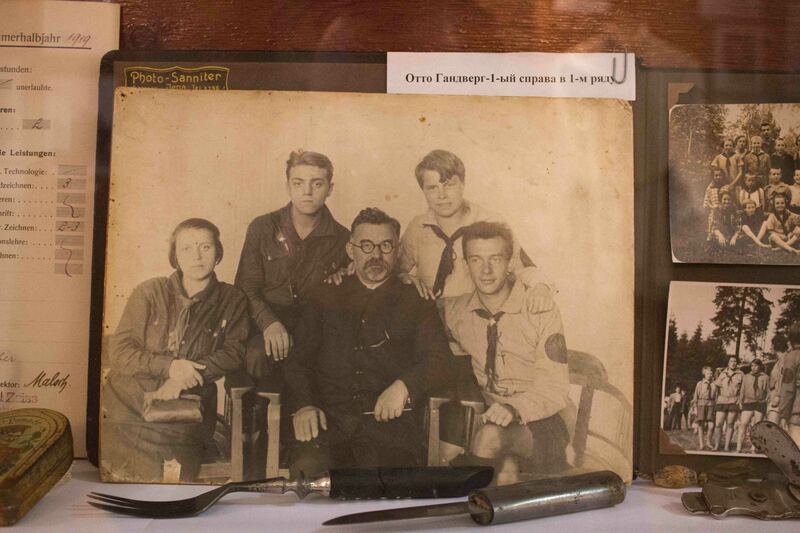 The German communist Otto Handwerg (Отто Гандшерг, on the lower right) emmigrated to the USSR and was executed during the party cleansing in 1937. His family was banished to Pinega subsequently. Display in the Pinega museum. I visited the nice local museum here in Pinega and was surprised to learn how diverse influences shaped the local history. A lot of newcomers came against their will to Pinega: banished left wing revolutionaries, poets, intellectuals searching for unspoiled Russian folk life, American soldiers during the the civil war, banned Ukrainian peasants accused of being too wealthy and than the long row of “enemies of the people”: the opposition within the Russian left, the party members that were decimated, the suspicious nations like the Germans, even the families of executed German communists – became either settlers in special villages or inmates in the Gulag camps on the river Kuloi. 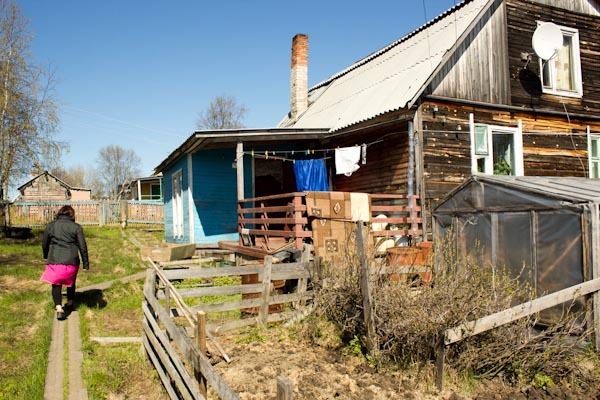 From the abolishment of the Gulag under Khrushchev on the town seem to have shrunk in importance and only a few remaining trader’s houses witness the pre-Soviet wealth. After the long interviews that in some cases went over hours and hours I usually tell my interlocutors, that I want to take a picture of them, that I need a portrait for my work. The first reaction is in most of the cases shyness. Some take refuge to the excuse that they are not well dressed or coiffured or just don’t like to be photographed. The reaction is very similar to that before the interview. 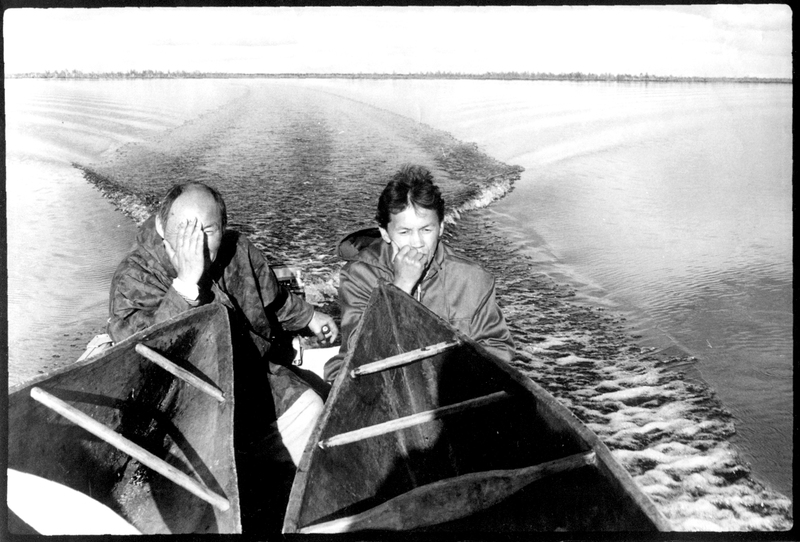 The first reaction then is usually also refusal: „I don’t know anything interesting.“ „My life has nothing to do with history.“ But I don’t need much insistence and the elders start to tell their stories and sometimes cannot find an end. Sometimes I have the impression that the initial refusal is more a kind of cultural convention to avoid the impression of self-praise. 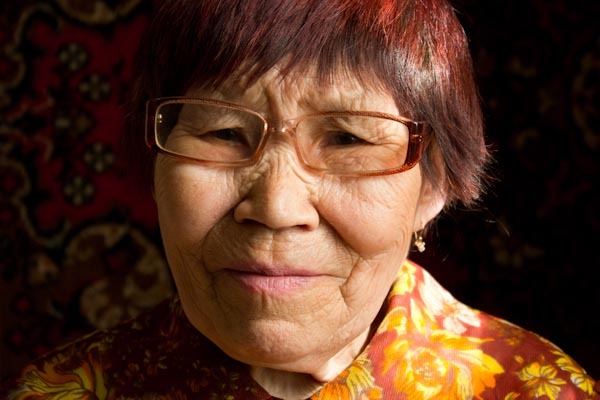 The appropriate form of giving information about oneself is the personal song for the Nenets, and people tell me that a person usually sings that song about oneself only if she or he is drunk. Afterwards these songs has to be performed by others. 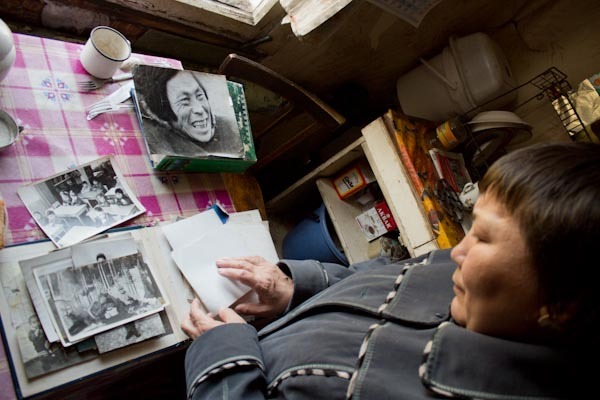 The dialogue about ones personal life and experiences is therefore relatively new among the Nenets. 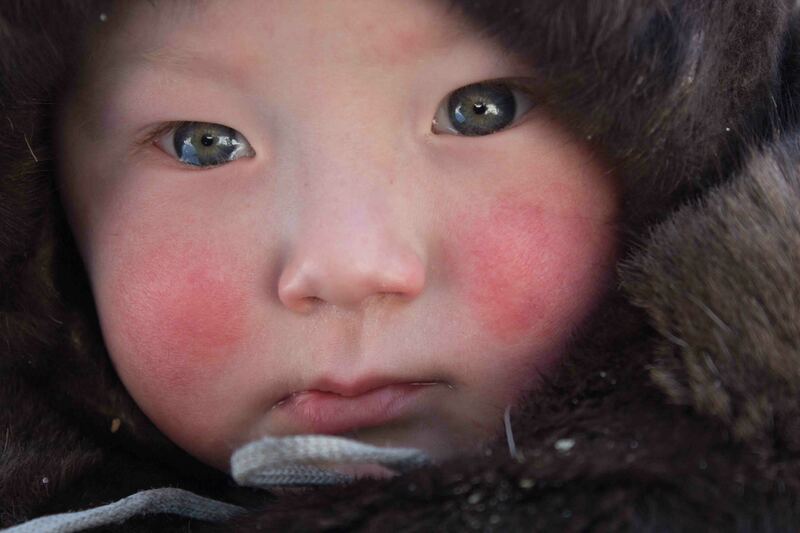 And I am just a beginner in learning the appropriate way of communicating in the Nenets society. Of course my former experiences with the Khanty and Forest Nenets reindeer herders, and probably my family background helps me to develop intuitively the art of dialogue that consists of swinging between close contact and letting loose. Contact is established with questions, eye contact and giving feedback with voice and head movements. At time it is appropriate to avoid eye contact, looking together out of the window and letting thoughts develop their own way. People can dive deep into their memories that way. But one has also to let room for silence, for the thoughts to get formulated. And one has to allow for changing the topic, for silencing certain themes, avoiding certain answers, and veiling the wounds that live left on the soul. Of course it seems sometimes as if one gets lost in nostalgia or in kitschy ethnographic self-presentations. It helps nothing than as to be patient and wait until the interlocutor opens up again and share more individual and personal experiences. The same sensitivity mixed with persistence is needed to make the portrait after the interview. I don’t like the flash and I don’t like the artificial light so I prefer to make a close picture with eye contact just on the kitchen table where the interview usually happens. Strangely as a rule either the first or the last picture in the series of photographs I make comes out to be the best portrait. There are people that are relaxed at the beginning and start to tense up after some time. The other kind of people give up their ready made photo-face only some time after, when they get tired to keep it all the time. I would not say that they take of the mask. I don’t believe, that their is anything else than the different social faces that are enacted all the time. But I try to create a more dialogical, a more open and telling portrait of these old people. Their faces seem to tell already through their physical appearance about the history of communication and interaction that is life. All the mimics, the movements, the enacted roles and told stories left traces in their muscles and on their skin. If the portrait succeeded it expresses openness and closeness at the same time. The face is a mask to hide behind and to speak through. 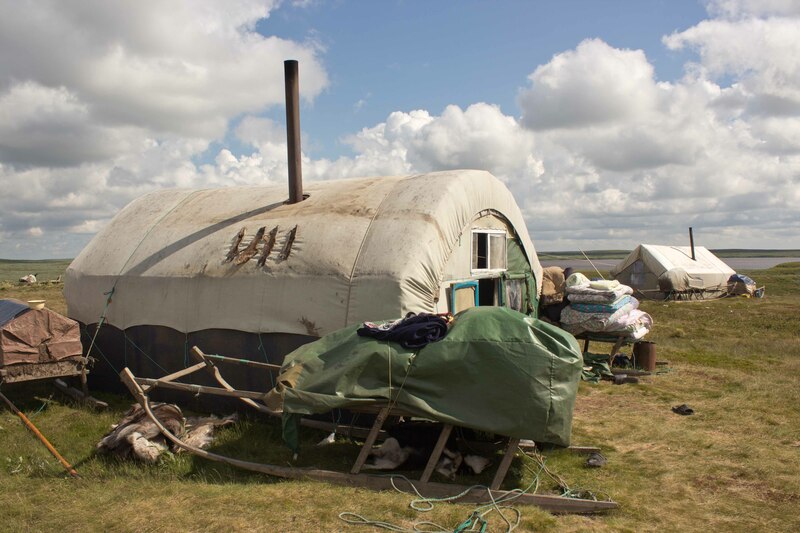 Openness to innovations is an important character-trait of the Nenets reindeer herders and sometimes the mixture of modernity and traditionalism goes against all expectations. 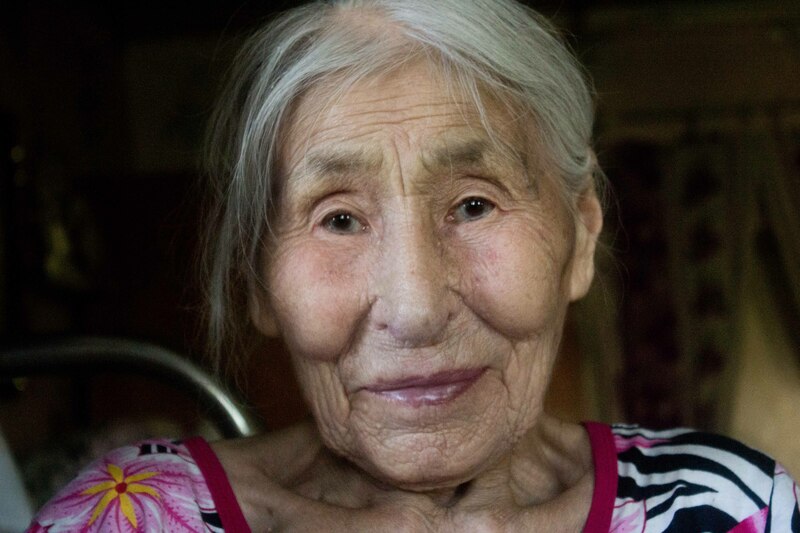 The first of the elders of Khongurei I got the chance to interview was Stalina Yakovlevna Taleeva. Stalina is one of the lucky elders who’s ten children are all still all alive and her daughter Nadezhda, my host here in the village, displays proudly her award with the medal “Mother-Heroine” in gold. Nadezhda Taleeva shows the “Mother-Heroine” award of her mother Stalina. 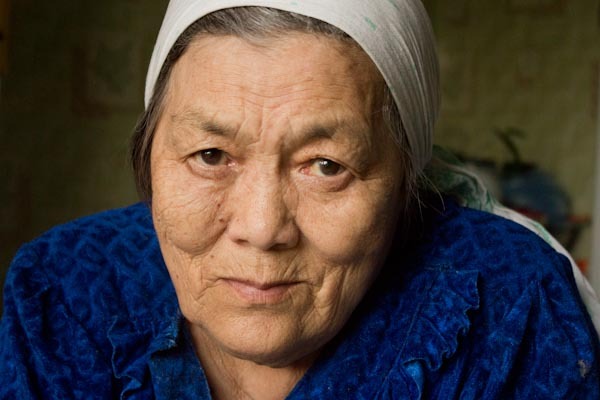 Stalina tells me also how children were baptised in the Nenets way by some elders in a small ritual during Soviet times. The small chapel on the lake Urdjuk deep in the tundra, build by Komi people, was venerated by the local Nenets also until now. Valuable things where offered or even exchanged there like on pagan sacred places in the old times. 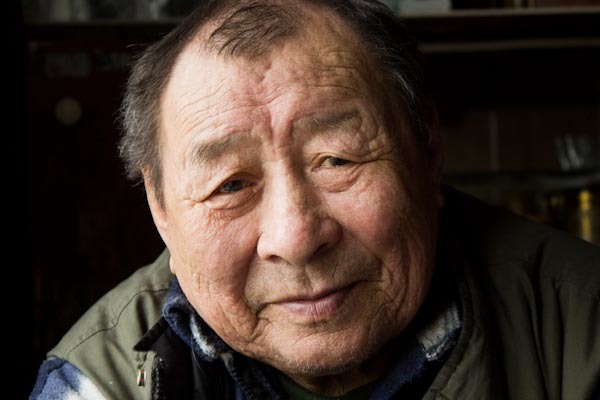 Official and informal ideologies were interwoven in the everyday practices in a complicated way (see the great article of Laur Vallikivi about the present day conversion of Nenets). But the ultimate symbol of Soviet Modernity in the North is probably not hammer and sickle but something linked to food culture. Soviet settlers in the North introduced the green house and cucumbers grow now everywhere in the north. 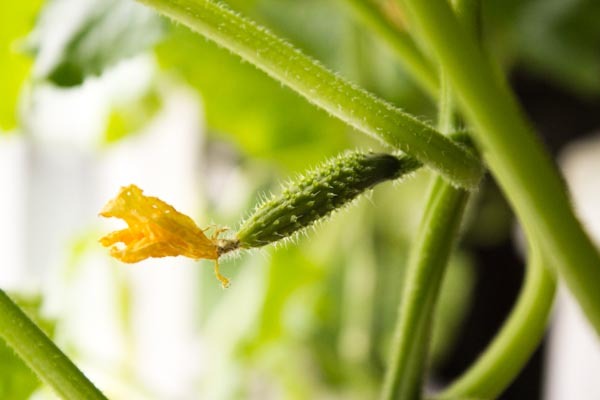 Stalina is growing them first behind their kitchen window and later in the greenhouse in her small garden. A little cucumber in the window of Stalina’s kitchen. The long polar day lets grow the vegetables in the short summer very quickly. But she has to carry sand and humus to her garden to plant there some potatoes, the other important vegetable in the North, because the village Khongurei is build on a hill of loam which made it hard to move through the village after a summer rain. Stalina’s house in the village of Khongurei with the greenhouse in front of it. 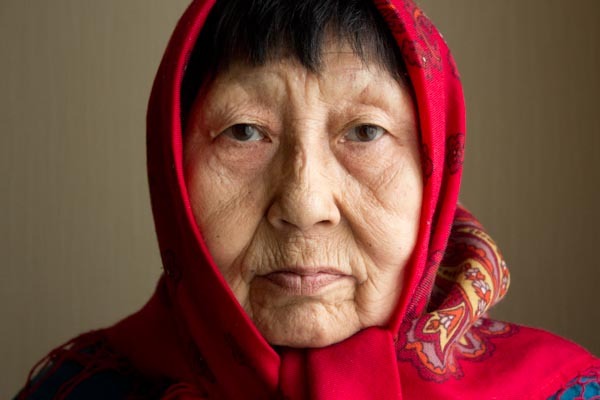 She is also a great master in sewing traditional clothing of reindeer fur. 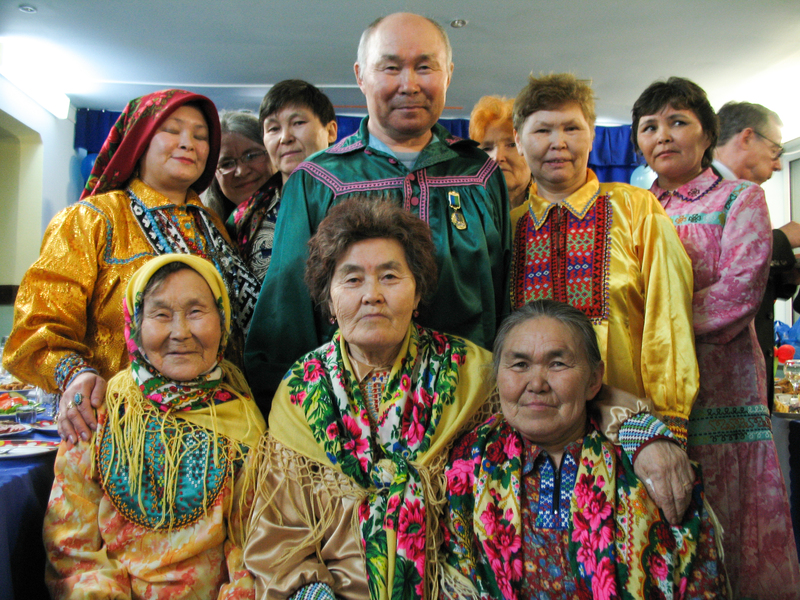 Unfortunately the reindeer herders are not wearing any more the fur clothing made by their mothers and wives. The explanation is not the loss of prestige of old fashioned things but a little bit more complicated. The change from the conical tent with an open fire hole on top to a closed light cabin made of tarpaulin made it quite difficult to dry the cloth made of reindeer skin inside after work. The fur clothing deteriorates very quickly and has to be treated carefully. 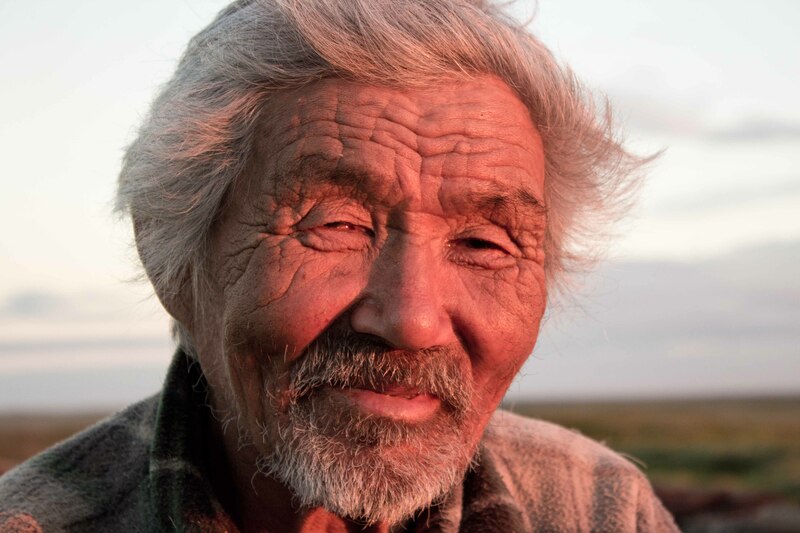 The women explained to me that after the removal of the families with women and children from the tundra to the village (I decribed this process in the arcticanthropology blog) there was nobody to take care of the treatment and repair of the fur cloth any more. 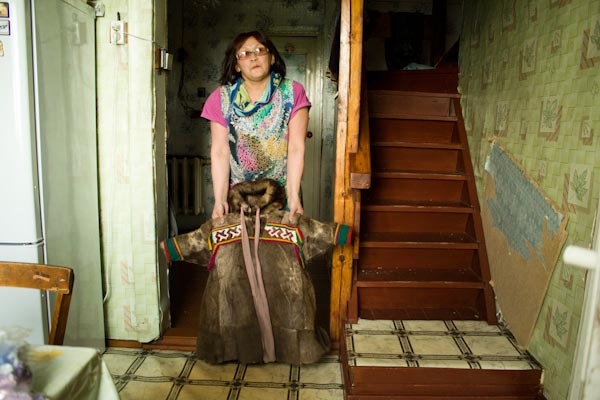 Nadezhda shows a children’s malica made of reindeer fur by her mother. 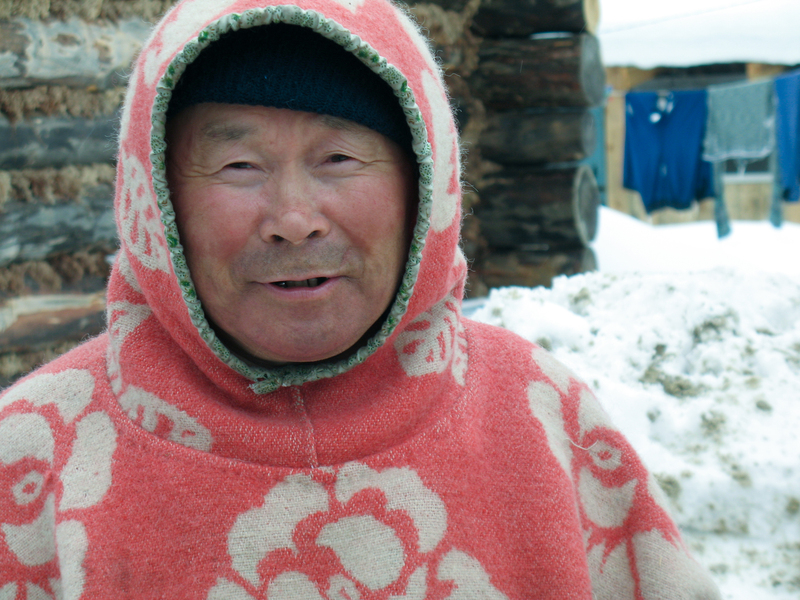 Nowadays the herders use bought clothes even if they have not the same protecting quality as reindeer clothing. 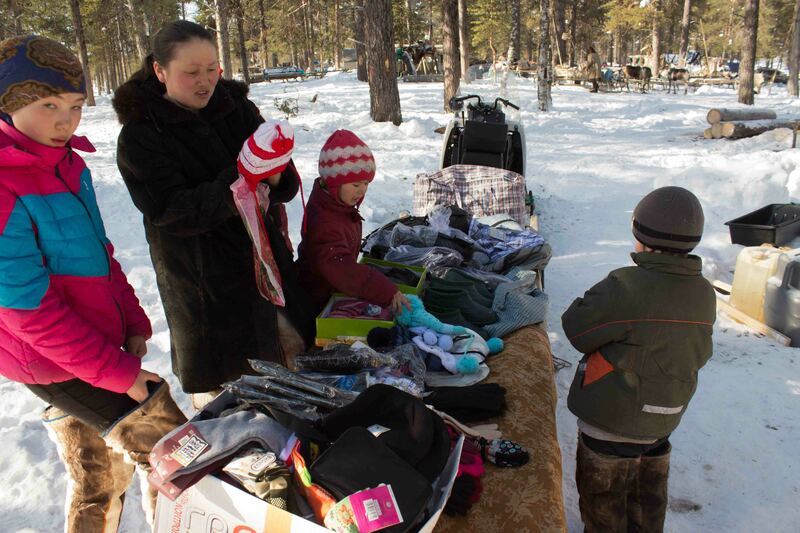 Stalina sold me a pair of beautiful Nenets pimy (long sock-like shoes hand-made of reindeer’s legs’ fur and sewn with sinews) her reindeer herding sons are not wearing any more. 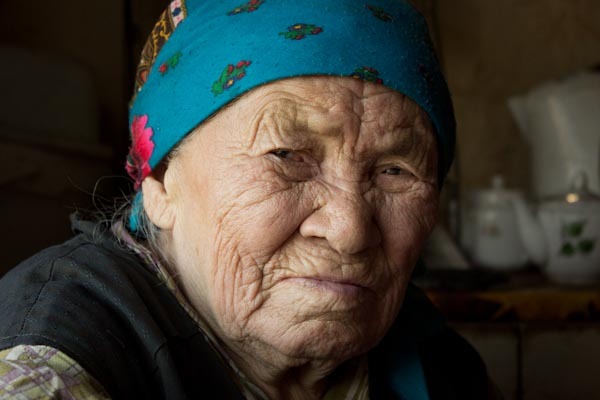 First I took Julia Taleeva to help me to get acquainted with some of the elders in the village of Khongurei. 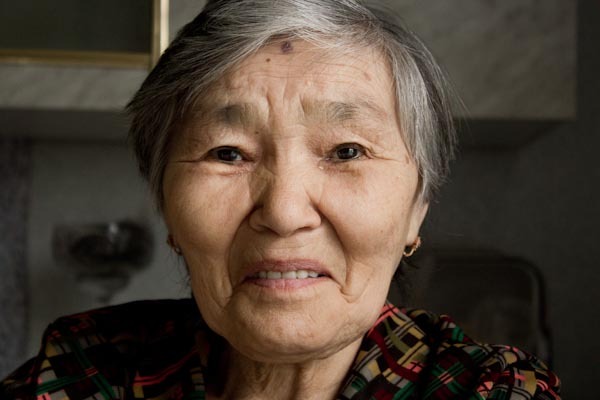 First we went to Julia’s aunt, Aleksandra Germogenovna Taleeva, the oldest woman here, born in 1927. I usually start after introducing myself and the ORHELIA project to ask about the family, about parents, grandparents and children. In the case of Aleksandra it figured out to be a very tragic story. Aleksandra Germogenovna’s father died in prison after being denounced as an enemy of soviet power in the 1930s. The reindeer where confiscated and her mother had to work as a herder during the time of the WWII, when most of the reindeer herders went to the front. The time after the war was not easy either. 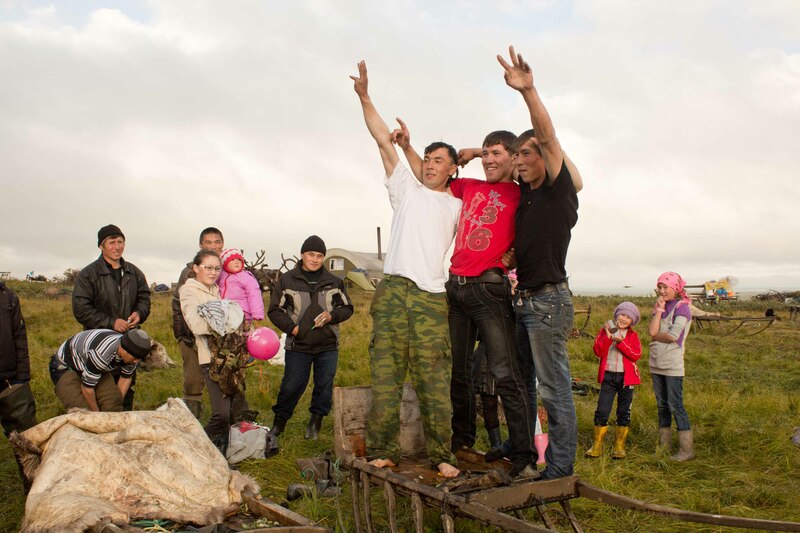 Aleksandras husband went to prison for some years for loosing some reindeer in the herd of the Kolkhoz. They had seven children, but now only two of them are still alive. Julia Alekseevna Taleeva with the photo collection of her aunt Aleksandra. On the top of the picture a portrait of her father. 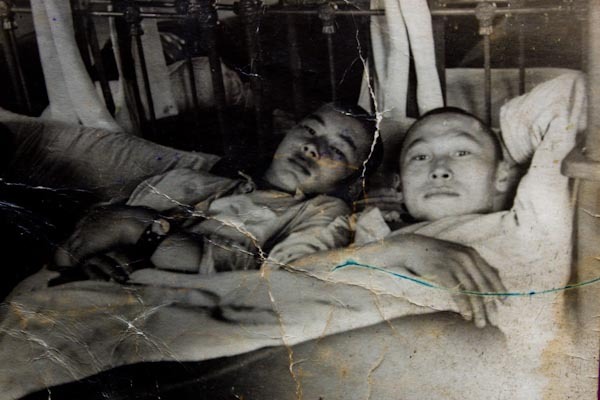 When we went through old photographs, I come across a picture of Aleksei Taleev, Aleksandras brother, the father of Julia with another Nenents in the army hospital. It comes out the he served the army together with a good friend I know from my last visit in the village of Nelmin Nos Mikhail Trofimovich Ardeev. Mikhail Trofimovich Ardeev and Aleksei Germogenovich Taleev during their army service. 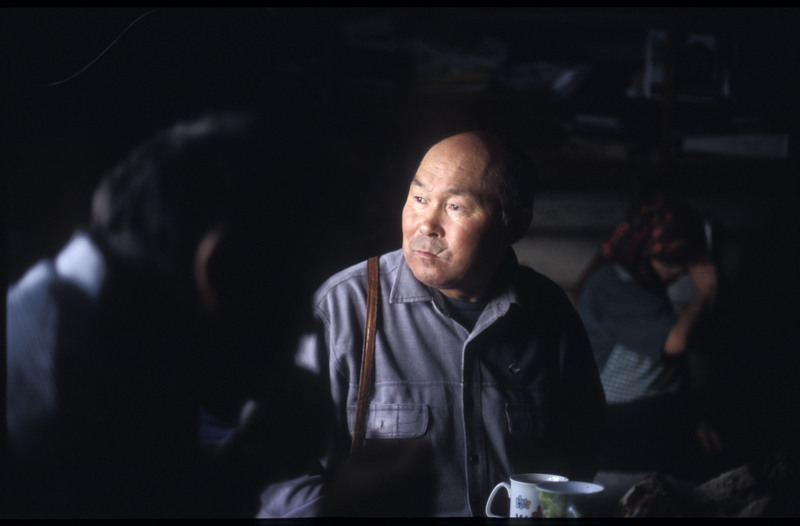 Julia discovers some other photos of her father, one of them with three reindeer herders posing while smoking cigarettes. 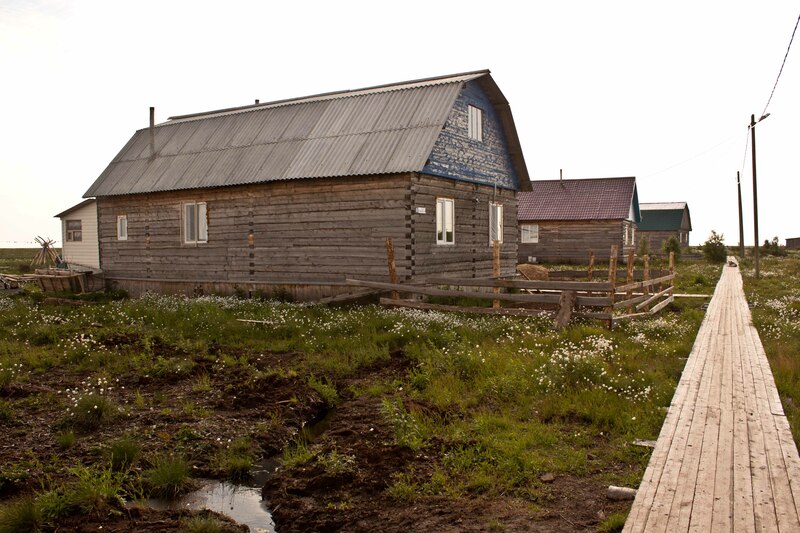 This picture was probably taken, before the Nenets where settled in Khongurei and still migrated in the tundra around the small settlement of Ledkovo. 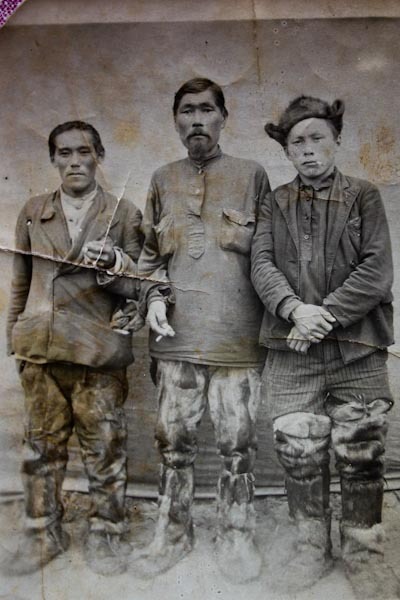 Three Nenets reindeer herders. On the right Alexei Germogenovich Taleev. 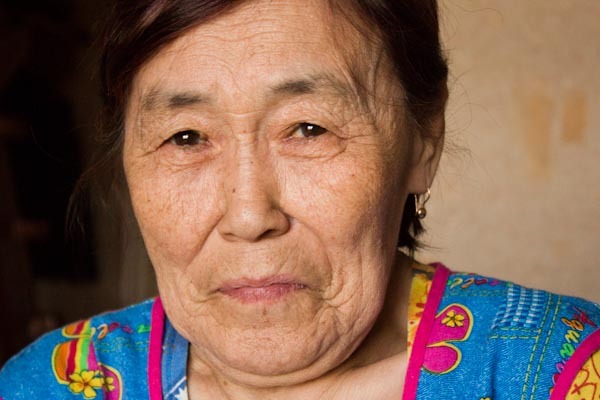 Aleksandra is switching from Russian to Nenets language quite often and I let Julia ask her questions in her mother tongue, feeling that it is quite difficult for her to remember the old times and tell about her life to a complete stranger. I hope I will translate the Nenets parts later with the help of my collegue Roza Laptander who is also part of the ORHELIA team. 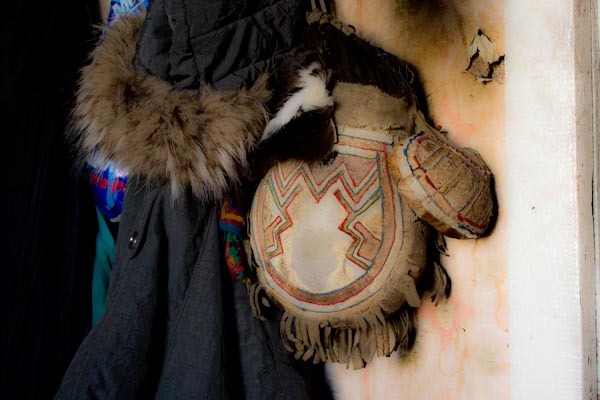 As a symbol of her past as a wife of a nomadic reindeer herder, the Nenet’s woman’s bag is hanging in her sleeping room. In former times this bag accompanied every woman during her whole life and was put with her into the grave.